We are yet to see the Ernst and Young Report of 2007 titled "FNFP Special Investigation - Internal Report". Now, Coupfourpointfive has been informed the Report has not been made public by Aiyaz Sayed Khaiyum because a section of it is highly critical of the Tappoos, to whom Khaiyum, through his private company Latifa Investments Ltd, had sold his Berry Road property at a grossly obscene price. Our regular contributor, VICTOR LAL, has been examining the Report and has filed Part Four of his investigation. 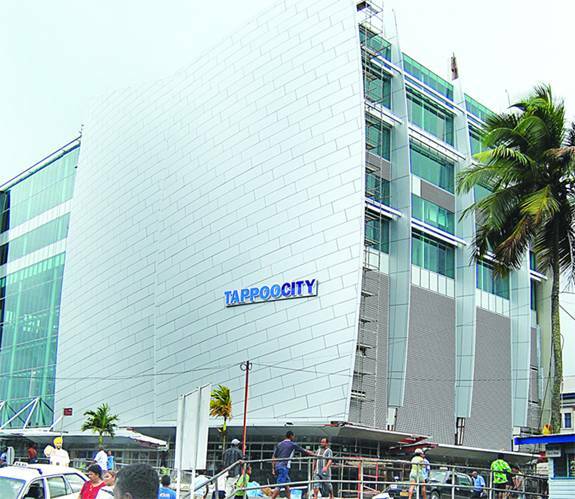 A number of issues arose in regards to the decision to invest in the Tappoocity Project, as described in the confidential Ernst and Young Report of 2007. There appeared to have been a lack of due diligence on the part of Fiji National Provident Fund prior to its decision to invest in the Project, resulting in the following issues: increased construction cost, increased overall Project cost, design changes to the Project and delays to the Project. The construction cost estimated had risen from an initial estimate of $14million to approximately $35million. Given this significant variance, and the fact that the proposed design of the structure had not changed significantly, E & Y questioned how this initial construction forecast was produced, and how much due diligence was conducted by FNFP in this regard. No documentation on files produced to E & Y indicated that any external engineering or other relevant consultant was engaged for the purpose of providing the initial cost of the Project. The initial construction cost estimate was significantly altered upon receipt of a Report by the Quality Surveyor for the Project in August 2005. It would appear that this Quality Surveyor’s Report should have been commissioned prior to the decision to invest in the Project, which was made in or around late 2003. The effect of the increased construction cost was that the project was now expected to cost approximately $44million to complete, a significant increase on the initial estimate of $20miilion, and $30million when the decision was made to invest. Generally, in relation to these cost estimate increases, E & Y emphasised that the Project cost estimates had significantly increased the risk and return profile of the Project for FNPF/FIL. E & Y also noted that in 2007 that the expected completion of the project was approximately two and a half years later than initial estimates. On 31 March 2003 David Ragg of Property Valuation & Consultancy Services provided a market value of $3,250,000 for the NFPF site. An agreement that the market value of the Tappoos site was $3,250,000 was reached by Carl Mar and Kanti Tappoo on 29 July 2003. A ‘kerbside’ valuation of the site for this amount appeared to have been obtained by Tappoos from Property Valuation & Consultancy Services on a date unknown, and in turn was the price Management recommended FNPF should pay for the site (when that was a component of the development plan). FIL Board Paper No 1707 dated 19 June 2003 stated that the purchase price paid by FNPF for Tappoos property being CT Number 24623 would be its “current market valuation” of $3,250,000. On 21 July 2003, Rolle Associates provided a document describing a valuation of $3,800,000 for the Tappoo site, comprising a land value of $1,400,000 and buildings value of $2,400,000. The sites were valued at a combined $6,500,000 for the purpose of the initial equity distribution in Penina Ltd. However, E & Y noted correspondence from Himmat Lodhia, a director of FNPF and president of the Fiji Retailers Association, to Olata Rokovunisei, then general manager of FNPF, dated 6 October 2003, in which Lodhia stated that the valuation of the land to be used for the Tappoocity Project appeared to be “biased”, based upon the fact that the properties of Tappoos and FNPF were attributed as nearly equal in value, however Tappoos' portion of land comprised 27.45% of its aggregate size (762 sq metres compared to FNPF’s 2,014 sq.metres). On this issue, advice was received from Ragg of Property Valuation & Consultancy Services on 9 March 2003. Ragg concluded that if the equity issue in Penina Ltd was based upon the respective size and value of the land being contributed to the Joint Venture by the Joint Venture Partners, FNPF’s proportionate interest in the Joint Venture should be 65% and Tappoos 35%. It was noted in this advice that if it was determined that equity in the Joint Venture company should be issued according to the market value of the sites, then a 50/50 equity split would be appropriate. If this was the case, noting that no documentation had been produced to E & Y which would allow any detailed analysis or comment on the respective properties in terms of size, one issue that arose was that Tappoos received 49% of the equity of Penina Ltd, yet contributed only 27.45 of the land to build Tappoocity in Suva. The factors listed by Lodhia that contributed to his perception that the contract terms of the Joint Venture may have favoured Tappoos included: the value attributed to the respective properties, rent payable by Tappoos as Tenant should not have been fixed at 8% of total construction cost for 15 years, outgoings should be paid by Tappoos, a proposed loan on terms of 6-8% interest was too low (the loan was in fact advanced at 6%). Based upon interviews conducted by E & Y, it was considered by FNFP staff in 2007 that the terms of the contract entered into with Tappoos was an area of concern. Principally, a concern was expressed that fixing the rent at 8% for the Tenant for a period of 15 years was less attractive to FNPF than calculating the rent payable by the Tenant according to the current market value of the property at the date of completion. Hi, Ive been following this story. Actually I have always been extremely critical of FNPF's investments. However, the only intelligent investment they have made is with Tappoos. Everyone in Fiji knows that FNPF have got zero risk with this project. The people who have put money in this investment is Tappoos. If something goes wrong, they are actually the biggest losers. Lets support the Indians who are actually doing something for our motherland. Give some support to appan ke log ko! Victor, I have to agree with the comment above. I think people should support these guys. I think they are the only one's making investments in a country which is so unstable. Since the coup, I think only Tappoo, Motibhai and Jacks have made investments. Other businesses have either sold shares (like RB Patel) or are maintaining their position. Also, Fiji National Provident Fun have made huge blunders. I think you should write about those goof ups rather than this project which is actually successful. Im an expatriate consutant for one of the banks in Fiji however I choose to be anonymoys. I have a copy this report. I'd like to also contribute my two cents worth. This investigation by EY was done after the Military takeover and its purpose was to find the faults as made by FNPF. The EY team did not contact Tappoo to find out any facts and hence the report is actually quite one-sided. The other fact is that since the publishing of the report, many key facts have been officially found to be incorrect which downgrades the credibility of this report. I also agree with the above two comments that FNPF have zero risk in this project. The guaranteed return that Tappoo have given to FNPF might actually hurt Tappoo given the current subdued climate. But really, the risk is totally borne the project developers which is Tappoo. I also want to add that the building is magnificent and quite brillant to be honest. It stands out as a monument that Fiji should actually boast about. I will definitely speak to Tourism Fiji to showcase the shopping complex as a showpiece for their campaigns here in Australia and other parts of the world. Having such avenues of shopping for tourists will form a very sophisticated opinion in minds of shoppers who really only see the beaches and bure's when they think of Fiji. I have shopped there in recent months and whilst some levels are still under construction, the overall shopping is super. What rubbish!!! I have no respect for these GUJIS! They are able to afford these 'sky scrapers' but @ what cost! Their workers are paid peanuts, who can't even take a loan from the bank due to their low income, half of the 'designer' labels sold by the GUJI's are FAKE! They are here to fill their pockets only and make a FOOL of the locals by selling them RUBBISH! The money they have made in this country has all gone overseas to which they buy million dollar houses for themselves and their children. NONE of their kids have been educated @ the local University and here you guys are PRAISING them... Do they even get their sons married off to local girls???? Only if its their 2nd or 3rd marriage! Anna, if those Gujju's would not have developed the businesses, we would be still drinking grog and cutting cane. Give them some credit. Most Indians have worked for these Gujju owned businesses and then migrated to New Zealand, Canada, Australia & USA. But they are still there in Fiji and still trying hard to make the country work. Thoda to respect do yaar.